Our new Breeder: @Pedro_Bann !!! I think I'll become a $1 patreon supporter of the site, but on top of that I would like to fund a seed run that we crowdsource on the forum. My idea would only work if one of the forum members who regularly gives away a lot of seeds would help me. Without one of these members, my plan will stay just an idea. My plan is to buy 10 cheap seeds (We can vote on the strain, but I already have a seedbank in mind since I don't want to spend too much) and have someone who has the space, time, and willingness to cross these 10 females (I'll most likely get feminized seeds unless we form a consensus not to) to a male that they have or self them to make seeds (we can vote on feminized or regular too) that will be distributed to the community. Paying shipping costs to send to the community is something I haven't been able to figure out (Bitcoin, PayPal, pro bono I dunno honestly). Anybody who has sent out many seeds want to help me out? I basically have no space to do this myself and I don't really know how to stealthily ship seeds. I kinda just want to help some people out and see some cool pictures along the way. I'd just want some seeds back, even if it's less than the original 10. Normally the guys that send seeds are breeding the ones that they want personally and a bunch of leftovers get sent out. I wouldn't think that buying someone seeds to start is necessary but I do think the OG community would benefit from more people making seeds. It really doesnt take much space if you want to grow a couple of your favourite fems and reverse one with STS or colloidal silver. or just collect some pollen from a male. Just half the fems/regs between two peeps who can run em straight away (ish') and then they could maybe grow and seed them and do a giveaway after seeds sorted etc..??! Just one idea , or try growing them yourself and pollinating just a couple of plants and do a giveaway.. I'll try to self an auto on the next run (all I have are autos at the moment and can only grow one plant at a time). I would still need some help figuring out a shipping method that won't result in the seeds getting crushed (heard that happens a lot). I'd still like to see if anyone is up for my original plan, but at the moment it seems like no lol. Oh well, I guess it will save me some money that I could use to ship the seeds. by then somebody will step up to do the run & share it OG-wide... ?? How can I help @MisticHaze ? Instead of selecting 10 different cultivars of "cheap seed" to outcross, I would select one high-quality/high-popularity strain and make an f-2. Then it might be easier to find some volunteers to help with the next generations. I'm taking your suggestion into consideration. BOG seems like a good high quality breeder, but $100 + shipping is pretty much at or maybe even slightly exceeding my max budget. Anybody have some slightly cheaper breeder/seedbank suggestions? I'll keep BOG in the maybe pile since they seem to have a good rep around here. Edit: Budget has increased (see post below), but feel free to make any suggestion. 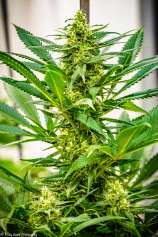 Edit: I had th seeds as a possibility, but I'm seeing mixed reviews. Seems like MK Ultra is one of the few that gets rave reviews. BOG’s seeds are absolutely fantastic! He’s been working his lines for a very long time. I’ve never heard anyone say anything negative about him, ever. A great person and a true OG legend. Or you can "write in" 2 strains from another breeder/seedbank and try to get enough people to vote for it. Only rule with this is that it has to be priced similarly as the above. $100 + shipping is the budget. My votes thseeds mk ultra and bohdi sunshine daydream as well. They are a seed bank but also sell there own strains and if you stick to there own strains they can be really cheap. My original idea was to use bulk seeds, but I decided to go with higher quality seeds. How do you mean higher quality?? A seed is a seed lol. You mean seeds that are rare and hard to get your hands on?? Original seed store seeds are stocked by a lot of seed banks in Europe alongside barney's farm etc. I'm not here to argue. If people want to vote for more sensibly priced seeds that's up to them. I endorse @Baudelaire and @LED_Seedz from OG. Why go anywhere else really! ?